About our firm: Simeone and Raynor, LLC, has two offices, one located in Cherry Hill, New Jersey, and the other in Medford, New Jersey. In addition to these two locations, the law firm of Simeone & Raynor, LLC routinely represents clients throughout the South Jersey area, including Burlington, Camden, Gloucester, Atlantic, Middlesex, Ocean, Cape May, and Salem Counties. The attorneys at our Cherry Hill and Medford offices are committed to providing quality and professional legal services in the areas of estate planning, litigation and administration, as well as offering comprehensive real estate and business services. 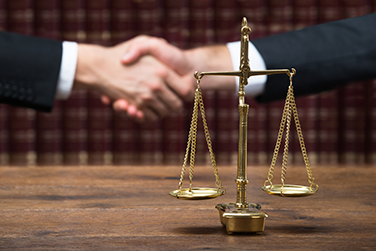 In the estate planning practice, our attorneys do not just draft Wills, Trusts, Powers of Attorney, but instead assist our clients in developing a comprehensive estate plan that serves their specific needs. This includes educating our clients, so that they understand how each particular document advances and protects their goals. In the area of estate litigation, our attorneys aggressively litigate estate matters by crafting comprehensive discovery demands and utilizing motion practice to secure both the assets in dispute and the evidence necessary to establish our client’s case. With respect to estate administration, our firm provides a level of service commensurate with our client’s needs by taking into account the emotional impact of our client’s loss, their time constraints and the costs associated with our services. As to Guardianship matters, our firm handles both contested and uncontested cases with the primary goal of advancing our client’s interests to protect their loved ones. In the real estate area, the attorneys at our Cherry Hill and Medford offices provide a broad array of services from sales, purchases, leases, property tax appeals, and zoning for both residential and commercial properties. For companies, our firm offers a variety of services such as business formation, tax planning, litigation services, employment contracts and business purchases. In all of our practice areas, our approach is to foster a relationship with clients so that we can quickly assess the issues confronting them and offer practical solutions to their concerns. We pride ourselves on a commitment to our clients and their individual needs. For more detailed information, you may select the particular area of interest set forth under “Practice Areas” in the sidebar or forward an email to our southern New Jersey Law office on the “Contact Us” page.